Welcome to the Alabama Society of the Daughters of the American Revolution (ASDAR) website! Our state society, founded in 1894, has over 4,300 members in 70 chapters located throughout the state. We are proud to be a part of the National Society of the Daughters of the American Revolution, which has over 189,000 members across the United States and in twelve countries. Our members are lineal descendants of the men and women patriots who founded this country. We continue to advance the ideals on which our country was founded by volunteer service in historic preservation, education, and patriotism. The Alabama Society members provide service through their chapter projects and at community events. Our Mobile area chapters manage the Richards DAR House Museum, and all our chapters help support the Kate Duncan Smith DAR School in Grant, Alabama. Many chapters throughout the state sponsor contests and awards at their local schools from the elementary through college level. The Alabama Society also sponsors two scholarships for high school seniors based on academic performance, character, work habits, potential, school and community activities, and financial need. Eligibility for the scholarships is limited to Alabama residents who plan to attend a college or university in the state of Alabama and who are US Citizens. Application forms are available on this website. Chapters also participate in activities which focus on those currently in the military, and they have many activities throughout the year to honor Alabama’s veterans. Many chapters are 50th Anniversary of the Vietnam War Commemoration partners. 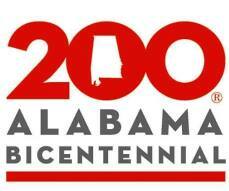 The Alabama Society also encourages chapters each September to promote Constitution Week activities during the week of September 17-23. During this week chapters stage school and community events to commemorate the date on which our Constitution was signed in 1787. If you are interested in joining a chapter in your area and participating in DAR’s many projects which promote historic preservation, education, and patriotism, please go to the Membership tab, and contact us to let us know of your interest. You will be contacted by the state Membership chair.